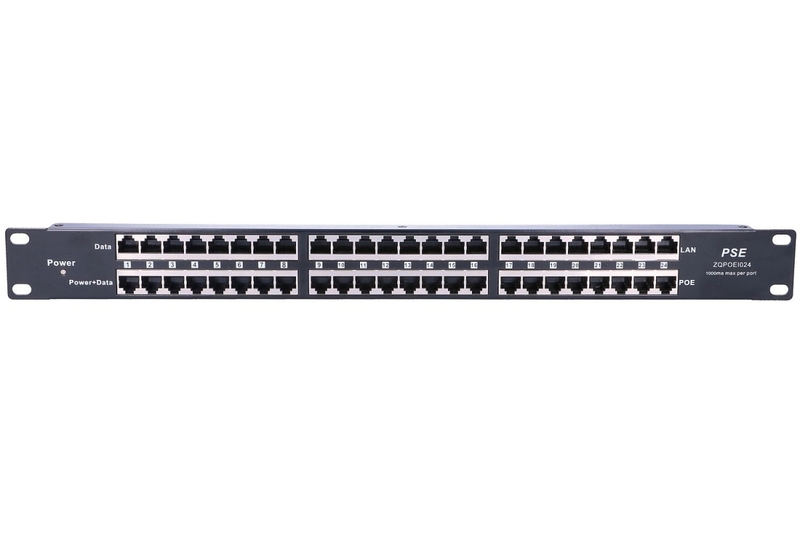 The 24 port PoE panel is using 10/100M Ethernet. The upper RJ45 sockets is for “LAN/Switch/PC ” 1/2 pins & 3/6 pins are transmitting data. The under RJ45 (power+data) socket is to deliver data and power: 1/2 pins &3/6 pins transmitting data, 4/5(+)&7/8(-) for power. Each socket provides protection against short overflow (current protection 650mA ±15%). DC Power adapter is NOT Included with panel.